Easy to use. Affordable. Fast. Pay yearly or one time. No long term contract. *you can use the plugin at the last updated version if you don't renew the subscription. 30 Days Money Back according to our Terms of Service. Want to upgrade your current plan & take advantage of this discount? Contact us about your upgrade. Do I have to pay YEARLY or just ONE TIME? You are actually purchasing a product as a service, with access to security updates, new features, fast replies to support requests for one year. If you don’t choose to pay yearly you will still be able to use the plugin but without future support and compatibility updates. The yearly payment advantage is that you don’t need to worry about security updates and compatibilities with other plugins because we’ve got your back. And this is why we recommend that you pay yearly. How many websites can I install this plugin on? You can use the free version of the plugin on any number of websites, whether or not they are owned by you. The Ghost version can be installed on a limited number of website, and you can transfer your license if you change your website. What does Website License mean? This license is limited to the number of websites you use it on. This means that you have to activate the product with a license for each website you want to use a product on. For WordPress Multisite, the license is for the entire network. Can I transfer the Ghost license key from one website to another? Of course! Just deactivate the plugin from the previous domain, and activate it on the new one. You can manage it in your account via Manage License. We offer a full refund for the first 30 days after purchase, based on our Refund Policy. Note! We do not offer refunds if you can’t send the proof that the plugin doesn’t work as described. What's the difference between Hide My WordPress Ghost and Lite version? What happens to my settings if I switch from Free to Ghost? You can save all the settings from the Free version and restore them after you activate Hide My WordPress Ghost. Does the plugin need special configuration on Nginx? For Nginx servers you will need to do manual setup through SSH or SFTP to add the rewrite file into nginx.conf and reload the service. Note! Contact your host first and ask him if he can help you with it. Does the plugin work on any kind of server? 1. WordPress.com Business – doesn’t support different login path and uses a shared Nginx hosting without the possibility to configure the rewrite rules. 2. Shared Nginx Hosting who doesn’t have the SSH option and refuse to add the Hide My WordPress Ghost config file and reload the Nginx settings. Access the Knowledge Base for more answers or contact us. "...The setup of the plugin is extremely easy. It runs very fast, and it does what it is promising. For a little investment you own a PRO version, and everyone should opt for that. The man behind this plugin is also freaking amazing. He has 20 years of development experience, and he can really do all. I adore such people, and the more when they have a great personality. So, my experience with both the plugin and the custom support is more than 5 star worth. THANK YOU JOHN !!!" "..This plugin guarantees they’ll make the plugin work on your site, or they’ll give your money back. And that was exactly the case for me. Their support responded immediately and made everything they needed to solve the issue.That’s what I look for on services, trustworthy people who are willing AND happy to solve my problem/s.The plugin works perfectly with my WordPress installation now." "It’s working perfect and I’m glad there are still some good developers that are on WordPress that actually care about their plugins. Most don’t and that’s horrible.Most just try to blame it on other things and don’t even bother to see what the issue is.Anyways. It’s got a lot of options to it and perfect for a security plugin and really simple to use. Take it from me. USE IT." * Avoid API call 404 while editing an article with WP 5 Blocks. * Checked compatibility with BPS Plugin and other security plugins. * Change the current_blog_id back after cookie set. 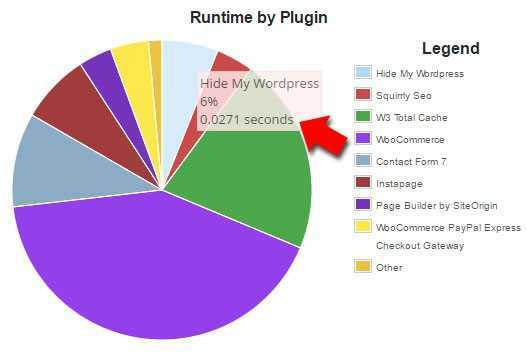 * Update - Remove Admin Cookies from wp-config left by other plugins when Hide My WordPress Ghost is installed. There are more and more plugins you can use to hide the common paths, and you need to consider using the fastest one possible. With a slow website your entire website SEO and Security is at risk, so the best thing you can do is to opt for this – results can indeed be worth it.